The new 233,000 sq. ft. Student Recreation Center and Field House complex was designed by Moody Nolan, Counsilman-Hunsaker, TC Architects, and The Sports Management Group. 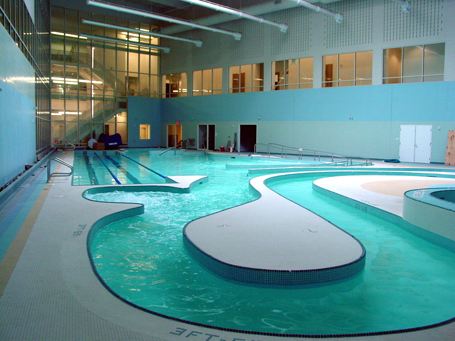 The recreation center includes a leisure pool, three-court gymnasium, two-court multi-sport area, climbing wall, cardiovascular training room, aerobics/dance studio, running track, and free weights and strength training space.